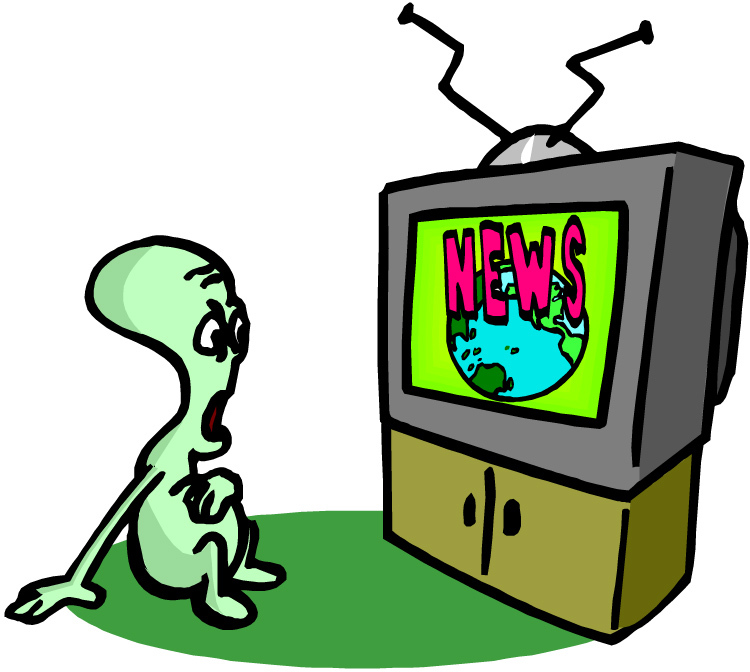 Frustrated with TV so-called “news”? You (we) are not alone! Recently I came across a blog that caught my attention – Left Coast Voices. Alon Shalev blogs every day (which kind of boggles my mind) and is very interested in having some discussion based on his posts. But one thing that drew my attention to his blog is his comment, on today’s post, about the total insanity of the week-end chat shows. In my earlier adult years I recall some of these shows as being prestigious public media outlets for serious debate, and reasonable coverage of current events. But now I, like Alon, can hardly bear to have them on. Everyone talks over everyone else, and most of what they are pushing amounts to pure propaganda. I think one reason that I have turned to blogging is that it is possible to find some reasonable perspectives about conditions and events in the world that move light years beyond what we are fed on TV, and even surpass the best news outlets that do give us more than sound bites. “Left Coast Voices” is one such resource, and in addition to being able to read some interesting perspectives, there is an opportunity to enter into the discussion. Here is the link to today’s blog: A Serious Economic Agenda. Over the next few days Alon plans to delve into more depth around things that could actually be changed to address the economic challenges we face today — education, taxes, and energy. And of course there is Rachel Maddow’s blog! Never believe for a minute that I am abandoning Rachel on TV! Not only is her show entertaining — she also provides more depth on selected topics. Hers is not a “news” show, although she does address current things that are happening in the world. One of the things I like most about her show is her refreshing (and as it should be for everyone) approach to interviewing … she does not interrupt people she interviews!! And, she always checks with people to make sure if she “got it right” in the lead-in to the interview. She means it, and from time to time, they make a slight correction or clarify something she presented (they usually compliment her on the lead-in). And she always corrects any error in reporting that comes to her attention. What a concept!! But Rachel’s blog is also worth following closely. She provides much more in-depth coverage on the blog, and of course you can pick up segments of the most recent shows to watch on your computer, at your leisure. If you cannot watch the nightly show, consider subscribing to the blog — if you are interested in staying current with things that are happening that nobody else talks about, and from that rare progressive perspective … then Rachel’s blog is for you! Here is what I consider to be the news of the day today .. from Rachel’s blog — Medicare might win NY-26! So consider turning off the tube, and shifting instead to what you can find on interesting blogs. There are tons of things out there … most of which you will ignore … unless of course you are interested in following a blog on a topic like what to do with old wine bottles!! But if you are interested in serious “reporting,” tune in the blog world! It is a great pastime! This entry was posted in Making change, Politics, Social Issues and tagged Alon Shalev, Economy, Education, Rachel Maddow, The Accidental Activist. Bookmark the permalink. 1 Response to Frustrated with TV so-called “news”? You (we) are not alone!